Maternity leave can be one of the most exciting, emotionally charged months of a mother’s life. It has to be said that it’s usually a very different experience when you run your own business. Even if you’re ostensibly an employee of your firm, it’s hard if not impossible to switch off entirely. And if you are self-employed the entitlement to maternity benefits and supports is not yet equal. It has improved, but there is still a way to go. See here for some of our articles on maternity leave and childcare for women who work for themselves. 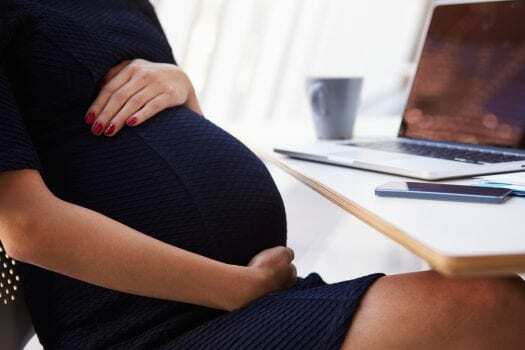 It’s always a personal choice but government statistics tell us that women are more likely to close their business due to ‘personal reasons’ during peak maternity years. The flexibility of being able to work alongside small children appeals and for some business models, including those that operate online, balancing your business and a baby can work perfectly. But for others it can be an impossible combination of too much work with too little support. Weigh it up. The WorkingMums website has a very good article with extensive Q&A on maternity rights and self-employment. Below we have compiled the latest information for employees. Employees are entitled to a year of statutory leave, no matter how long you’ve been with your current company. You can start that year off at any point after the 11th week before your baby is born, therefore theoretically giving you 11 weeks before and 41 weeks after. However, maternity leave and pay are two different things. To qualify for statutory maternity pay you must have worked at the company for at least 26 weeks when you reach the 15th week before your due date. You also have to earn at least £112 a week on average. Your amount will depend on your current pay, but is roughly broken down into three different amounts. For the first six weeks you’ll get 90% of your pay, for the next 33 weeks it’s 90% or £139.58 (whichever is less), and after that there’s no pay. So the tip is to budget wisely so you are not caught out at the 39-week mark. It’s possible you’ll get more than this as these are minimum amounts, but there is no legal requirement – it depends on the generosity of your employers and nothing should be assumed. Find out exactly how much you will get using the Money Advice Service calculator. The goalposts were shifted in 2015 with the advent of Shared Parental Leave (SPL), which gave parents far more choice and flexibility in caring for their children in their first year. Essentially, the parents can split the 52 weeks between them if they fulfil certain conditions, with partial payment for 39 of those weeks and two weeks of statutory paternity leave for the dad. Unfortunately, as Prowess has reported, this new right is not available to the self-employed. In reality, few fathers have opted to take up the offer; according to research by My Family Care of 200 employers, more than 40% had not seen a single male employee take up the offer in the first year. A quarter of firms could not give a figure, and less than a tenth of those surveyed had seen any more than 1% of male employees take up the offer. The main reasons for the lack of uptake were given as finance and fears about career progression. However, this does not mean that the idea itself should be ignored – many of those who did take shared parental leave found it a fulfilling and rewarding experience. Remember, if you’re returning to the same role you have the right to the same terms and conditions when you left, and if your role has disappeared you should be offered a suitable alternative or redundancy pay. No matter what, you’ll have some choices to make; part time or full-time work? Childminder, relative or nursery? Return to the same job or role, or looking elsewhere? Seek as much advice as you can (including those who have been working in your absence), and weigh up your options before making the final decision.